It was a full day trip with helpful tour guide and comfortable bus that brought us around. Good value for money and delicious lunch provided. Only if the weather is better and we have more time to explore the attractions. Overall it's still a pleasant experience. You'll be surprised how much of Vietnam's former capital you can see in one day – all it takes is the right planning. 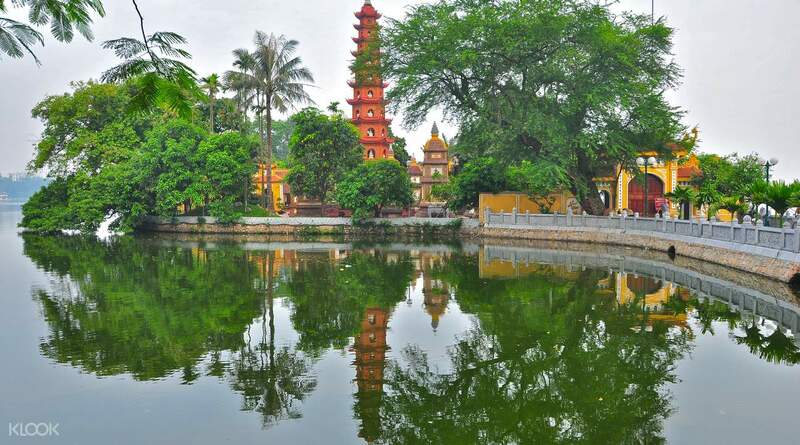 On this 7 hour tour of the city you will get to discover Hanoi's true character through its natural landscapes, museums, places of worship and more. 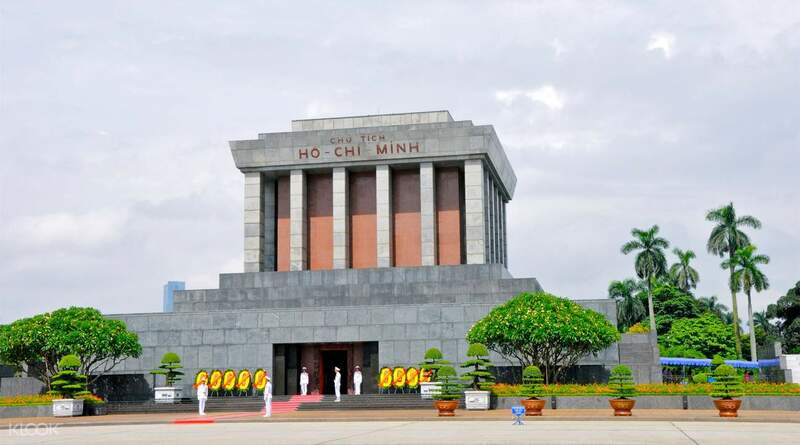 Right after a convenient pick up from your hotel, you will visit the Ho Chi Minh Complex – a traffic-free area of monuments, memorials and botanical gardens, accompanied by an informative explanation from your guide. 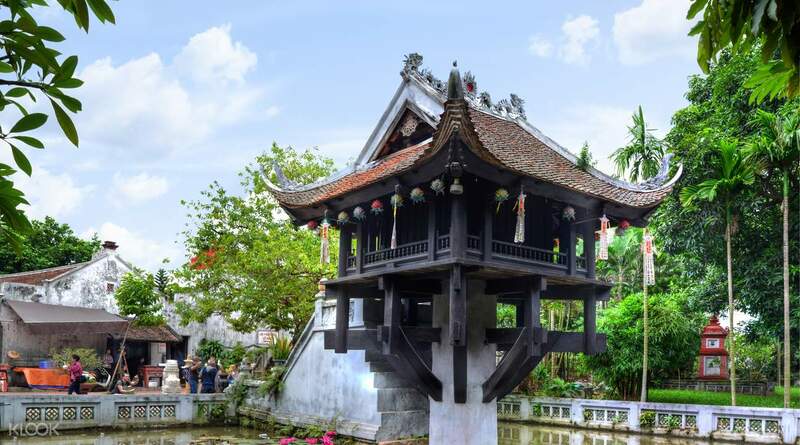 Go on to see the One Pillar Pagoda and Tran Quoc Pagoda before stopping by the Temple of Literature, Vietnam's first national university. After a relaxing lunch, there will still be time left for a trip to Hoan Kiem Lake, Bat Trang ceramic village and more. At the end of the tour, there's the option of a water puppet show, traditional cyclo tour, or avoiding the traffic mayhem to be delivered seamlessly back to your hotel. I've been to Hanoi before but I have never had a tour guide explain the history and culture of Hanoi and Vietnam quite like Mr. Chris (I hope I got it right). However, you will need to keep an open mind about certain sensitive topics during discussions. Also, it is important that you fill in your dietary requirements during booking to facilitate the choice of lunch. I've been to Hanoi before but I have never had a tour guide explain the history and culture of Hanoi and Vietnam quite like Mr. Chris (I hope I got it right). However, you will need to keep an open mind about certain sensitive topics during discussions. Also, it is important that you fill in your dietary requirements during booking to facilitate the choice of lunch. Very nice activity to see most of Hanoi must-to visit places. But watch out...Insist on what is included in the itinerary because some tour guides will discourage the group to go inside the maoseleum, saying there’s a very long queue, blah, blah blah. And you will only see a dead body.. but of course we knew that and we knew what a maoseleum is.. we already did our homework.. and what we want is to to see what is in our itinerary. But of course the line is long but it is moving fast, since you won’t be allowed to stay long inside the maoseleum, not even 5 minutes, you will be out of the building very quick. Very nice activity to see most of Hanoi must-to visit places. But watch out...Insist on what is included in the itinerary because some tour guides will discourage the group to go inside the maoseleum, saying there’s a very long queue, blah, blah blah. And you will only see a dead body.. but of course we knew that and we knew what a maoseleum is.. we already did our homework.. and what we want is to to see what is in our itinerary. But of course the line is long but it is moving fast, since you won’t be allowed to stay long inside the maoseleum, not even 5 minutes, you will be out of the building very quick. Superb tour! Special thanks to our tour guide, Chris, who shared many amazing stories and history of Vietnam war with us, we learnt a lot during our 1 day tour. He is a responsible and fun guide, we enjoyed ourselves! Lunch was pretty good. Schedule was perfect, we got back to hotel on time. Superb tour! Special thanks to our tour guide, Chris, who shared many amazing stories and history of Vietnam war with us, we learnt a lot during our 1 day tour. He is a responsible and fun guide, we enjoyed ourselves! Lunch was pretty good. Schedule was perfect, we got back to hotel on time. This was a really good offer! We had enjoyed a full day tour with lunch. Got the chance to meet other tourists in the group. The tour guide named Benjamin was really good, he had shared a lot of information about the place and he spoke English really well which is a PLUS! This was a really good offer! We had enjoyed a full day tour with lunch. Got the chance to meet other tourists in the group. The tour guide named Benjamin was really good, he had shared a lot of information about the place and he spoke English really well which is a PLUS! 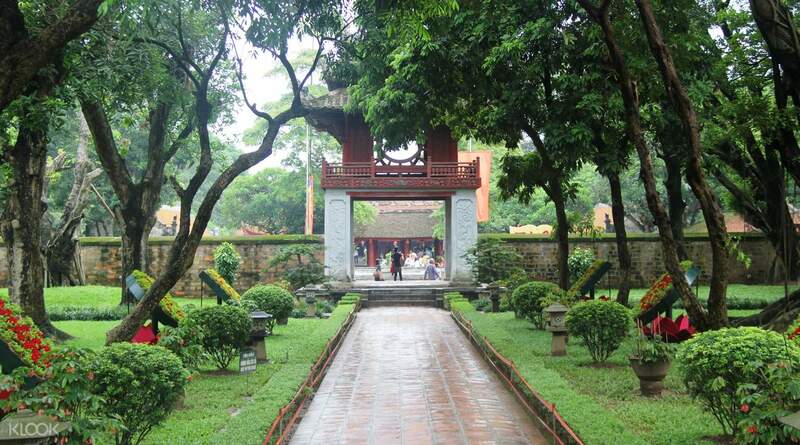 Hanoi is really full of historical sites and culture. I'm very happy to see Ho Chi Minh Mausoleum, Presidential Palace of Vietnam, Hoan Kiem Lake, Vietnam Museum of Ethnology, and Tran Quoc Pagoda. the tour guide Bay is very accommodating and nice. Hanoi is really full of historical sites and culture. I'm very happy to see Ho Chi Minh Mausoleum, Presidential Palace of Vietnam, Hoan Kiem Lake, Vietnam Museum of Ethnology, and Tran Quoc Pagoda. the tour guide Bay is very accommodating and nice. A solo traveler here, I had a good time and I’ve met new friends in a One day tour. The tour guide Hoangbay Vu is very nice. I’ve learned a lit from him like the History of Vietnam and their people! I would definitely recommend this with my family and friends! [ὠ9] thank you Klook! A solo traveler here, I had a good time and I’ve met new friends in a One day tour. The tour guide Hoangbay Vu is very nice. I’ve learned a lit from him like the History of Vietnam and their people! I would definitely recommend this with my family and friends! 😉 thank you Klook! We liked the full day tour of Hanoi with the visit to Ho Chi Minh Mausoleum. The pick-up and tour was well organised. We got to see the important sights of Hanoi. We liked the full day tour of Hanoi with the visit to Ho Chi Minh Mausoleum. The pick-up and tour was well organised. We got to see the important sights of Hanoi. 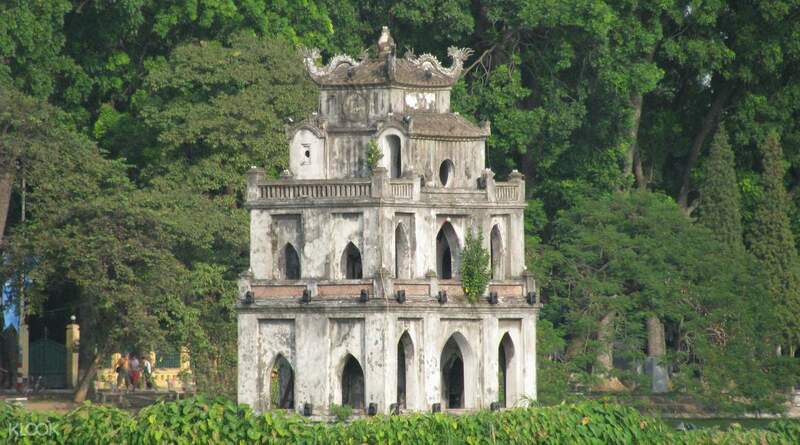 If this is your first time to Hanoi, it is better to take this city tour. You will understand alot of Vietnam history. Lunch is good considering the price you pay for. Tour guide is good too. If this is your first time to Hanoi, it is better to take this city tour. You will understand alot of Vietnam history. Lunch is good considering the price you pay for. Tour guide is good too.